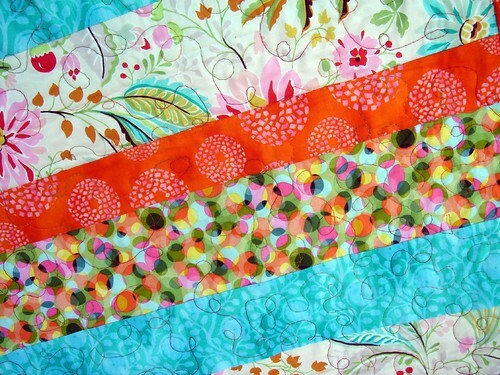 This started out as just simple strips of awesome colorful fabrics. 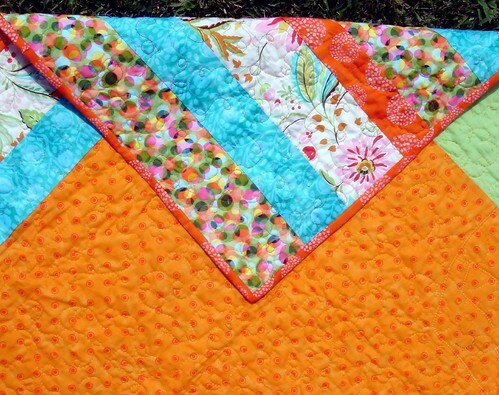 The back is a combination of the front fabrics, a pretty bright orange, and a lime green. The binding is the orange fabric from the front. I did the quilting with variagated thread in a random stippling pattern. And then it was done. And I looked at it and it was ok. But it wasn't very interesting, and certainly not exciting or fun. Kind of just made me say "huh, oh, that's ok", and I think I yawned ... which is saying a lot considering the colors. It just didn't say anything to me. So I thought I'd add some sort of applique ... maybe a bird or random bubbles or something. 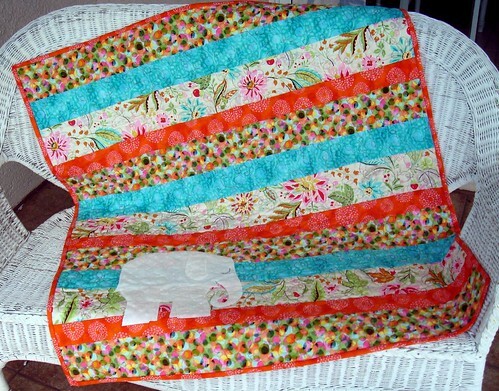 And then C. said it needed an elephant, like Elmer the patchwork elephant because that's who the quilt colors and patterns reminded her of. Aha!, I thought. And a minky-soft elephant was added. And all is well. 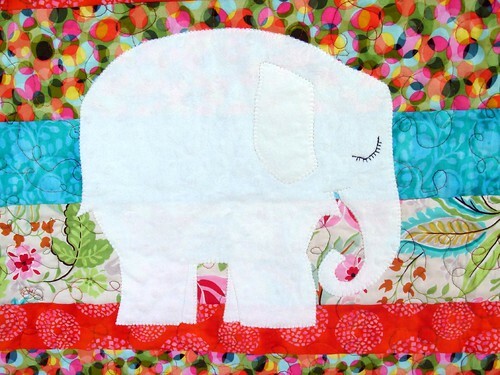 That elephant, in it's own unexpected way, made the quilt. C. is so creative, isn't she? 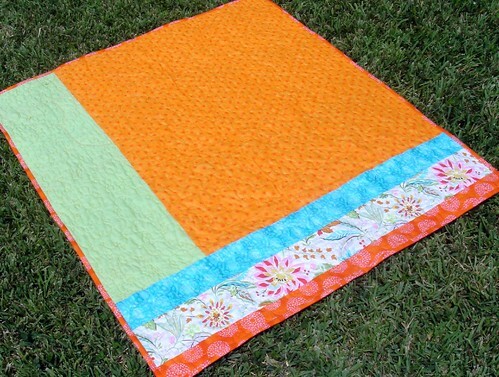 The quilt measures about 40" by 48" ... perfect for a wall hanging, toddler bed quilt, lap quilt, or play quilt. Thank you so much for your prayers and good thoughts. To reassure, the baby is fine, he's not the source of any worries right now (we had another ER visit/scare last month, but all seems ok now) ... he's growing wonderfully and is extremely, EXTREMELY active ... and I can't wait to meet him in just about 12 weeks. Again, thank you ... it means a lot to me. I really love it. A friend of mine loves elephants and is just getting into sewing. This would be fun to show her something she could make with some help. Its really cute. You are right, I like the fabric, but I think when you broke out the sewing machine and added the elephant you added the charm to the final product. That quilt is wonderful. I love the elephant and all the wonderful colours. Take good care of you...it won't be long now until you meet your new little one.